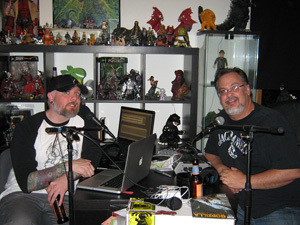 06.15.2011: Godzilla, Gangsters and Goliaths? Oh, yeah! This month Jeff Dean, co-host extraordinaire of Horror Holocaust, joins the Kaijucast to talk about the Legendary Pictures film, review the new issue of Gangsters & Goliaths and basically talk about the Big G.
Wow – Episode 35 is upon us! And after missing a few Daikaiju Discussions, Jeff Dean -half of the terrifying team that puts on Horror Holocaust- joins us for a conversational episode about Godzilla. In addition to simply great conversation, we are also reviewing the very first issue of IDW Publishing’s first Godzilla mini-series, Gangsters & Goliaths. This is an amazing first issue by John Layman and Alberto Ponticelli. Hopefully you’ve picked it up or will go buy it from your local comic book shop – we highly suggest it! So, anyway, it has been a really long time since Jeff sat down without having watched a movie for the Daikaiju Discussions and the last time we did that, I ended up recording for close to two hours. Other than some key points about the Legendary pictures film, the new comic review and Jeff’s well-placed love for Mothra, I wanted to make sure we didn’t drone on for too long. 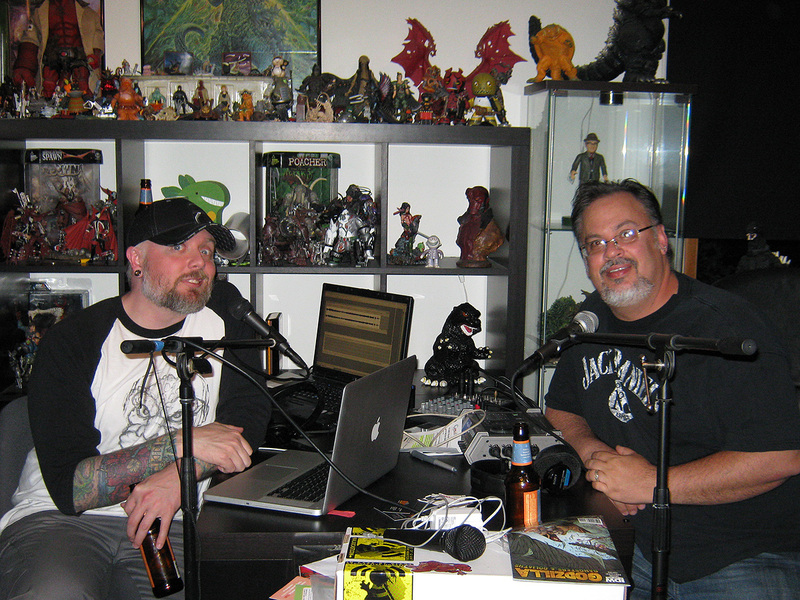 It’s very easy to talk with Jeff about this subject because We both love giant monster movies! So I hope you like the discussion because Jeff will definitely be back. Don’t forget that we are watching the Daiei Pictures’ 1966 classic, The Return Of Daimajin this month for our Daikaiju Discussion. We’re actually going to be watching the movie on the evening of June 22nd (which is a Wednesday), so make sure you get your homework done in time for that! I have to travel for work and won’t be around to host a screening the last week of the month. Just email your thoughts, questions and reviews before the 22nd to have your comments included in the episode.